Delaware's location is shown in red on the map to the right. The State of Delaware is bounded by Pennsylvania on the north, and by the Delaware Bay and the Atlantic Ocean on the east. It is bounded by New Jersey on the northeast, and by Maryland on the southwest. Delaware is the 49th largest state in the United States, covering a land area of 1,954 square miles (5,061 square kilometers). Wilmington and Newark, the state's largest cities, are clustered in the northernmost of Delaware's three counties. This Delaware map site features road maps, topographical maps, and relief maps of Delaware. The detailed, scrollable road map displays Delaware counties, cities, and towns as well as Interstate, U.S., and Delaware state highways. The pannable, scalable Delaware street map can be zoomed in to show local streets and detailed imagery. to view a scalable Delaware road map. The detailed Delaware map and the regional Delaware map display cities, roads, rivers, and lakes as well as terrain features. The detailed map shows only the State of Delaware, while the regional map shows Delaware and the surrounding region. Delaware's capital city is Dover. Another principal city on the Delaware map is Wilmington. Adjoining the port of Wilmington is the Delaware River, an important East Coast shipping route which empties into the Atlantic Ocean through Delaware Bay. In 2005, the population of Delaware was estimated at 841,741, which is about 431.8 people per square mile. In 2010, Delaware's population rose to 897,934 people. The state's Interstate Highways include I-95, I-295, and I-495. Delaware has no major airports, but the New Castle Airport and the Delaware Airpark serve both corporate and recreational flyers. Delaware is named after the Delaware River and Bay, which themselves were named after Sir Thomas West, the Baron De La Warr. Delaware is the second smallest state (after Rhode Island). Most of the state lies on the DelMarVa peninsula, a coastal plain lying between Chesapeake Bay to the west and the Atlantic Ocean to the east. Tidal marshes teeming with wildlife along Delaware Bay gradually yield to sandy beaches along the southern shoreline. Rehoboth Beach and Bethany Beach are popular summer vacation destinations. For Delaware travel and tourism information, visit the official Delaware tourism site and Delaware Atlas. This online Delaware reference map shows major cities, roads, railroads, and physical features in Delaware. 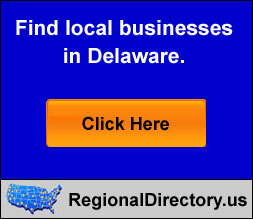 Several map publishing companies offer printed maps of Delaware. For example, Omni Resources offers several maps of Delaware that feature points of interest, airports, and parks, as well as selected local attractions and insets of major Delaware cities. Delaware-Map.org Editor, State Maps, PO Box 775, Barnegat, NJ 08005.